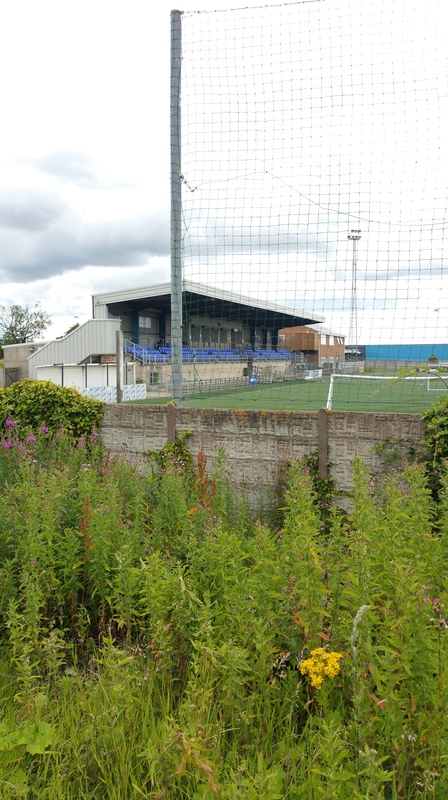 Hillheads Park is one of the better Northern League grounds, one which I’ve had the fortune to visit on quite a few occasions. There’s not loads to see from the outside, but as I was gigging nearby and they had a game during the day, I took the chance to go and watch them in action. 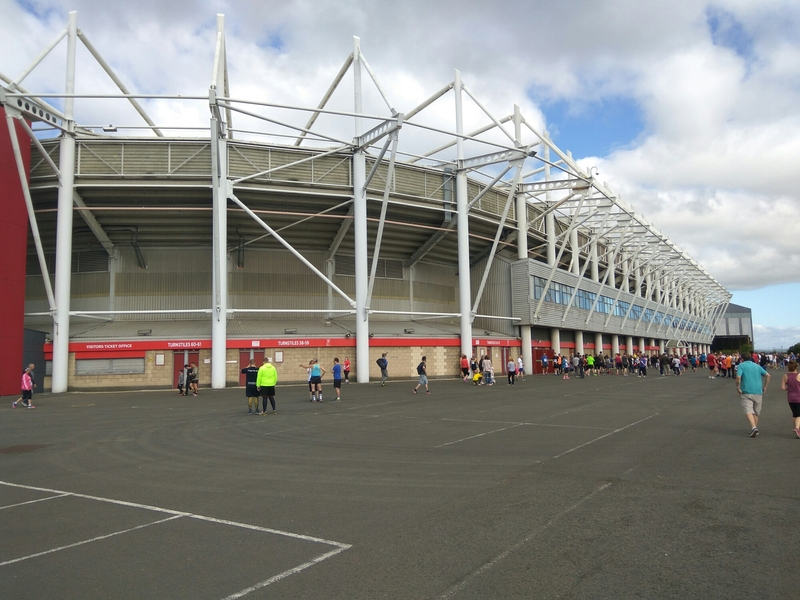 I know that’s not the entire point of this blog, but if you get the chance to visit the ground you really should. Their main stand is a thing of absolute beauty. A tunnel for the players to emerge from and packed full of character, it’s a real delight. There’s terracing most of the way around as well as a covered stand on the opposite side. The whole place is a slightly shabby but simultaneously in remarkable nick. 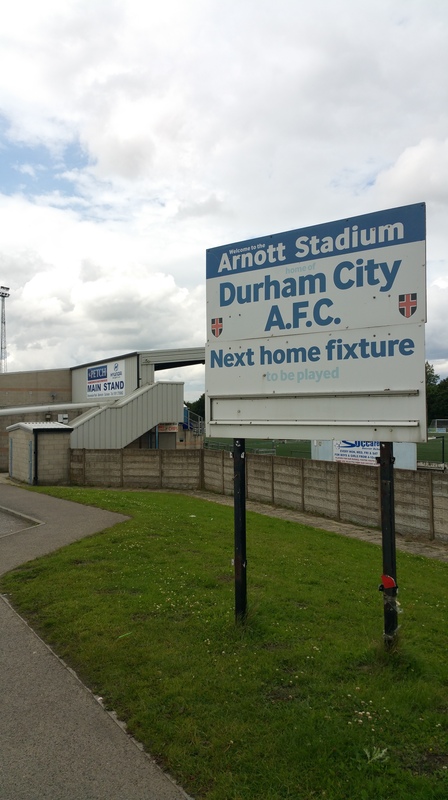 There can’t be many better grounds to visit in the North East. For peering in from the outside (the usual point of this blog), it doesn’t score highly. But it would be a travesty to mark it down. A must visit. My book, as ever, is available from Amazon. Well blow me down if this one isn’t a little bit of a dazzler! I’m a big fan of sports being played in the wrong stadium. I love watching Wembley transformed for motor-racing, or rugby played at football grounds. And watching Lords transformed from the home of cricket into an archery arena for the London Olympics was a little bit special. So, a football stadium that poses as a golf course during the day? Oh yes, Fulwood Amateur Football Club! Oh yes indeed. Truth be told, we really don’t need any further explanation, do we? I didn’t, but visited this little beaut, situated near Preston, a couple of years ago now. It’s arguably unspectacular, but it does exactly what it says on the tin. It’s actually a driving range rather than a golf course, but let’s not pick it apart for something as trivial as that. If anything, that makes it easier to access during the day and take in its majesty. A couple of covered stands and some dug outs are pretty much all there are to see here, other than an assortment of golfers teeing off and the distance markers, but that’s not really the point. Majestic is absolutely fair. It’s a definite must-see. A bizarre little gem. I’m pretty sure my book is supposed to cost more than £2.69, but you can get it here before I figure out how to correct this. Another show of how life changes is the history of this ground since this blog’s much-publicised hiatus. 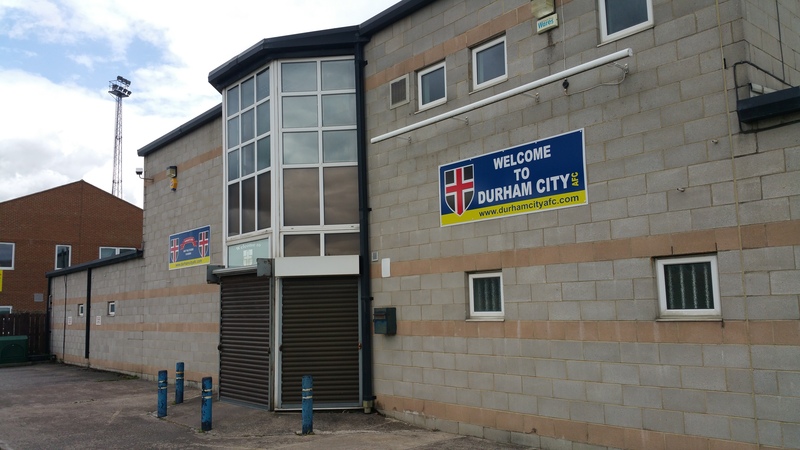 At the time I visited it, it was home to Durham City FC. Not any more. 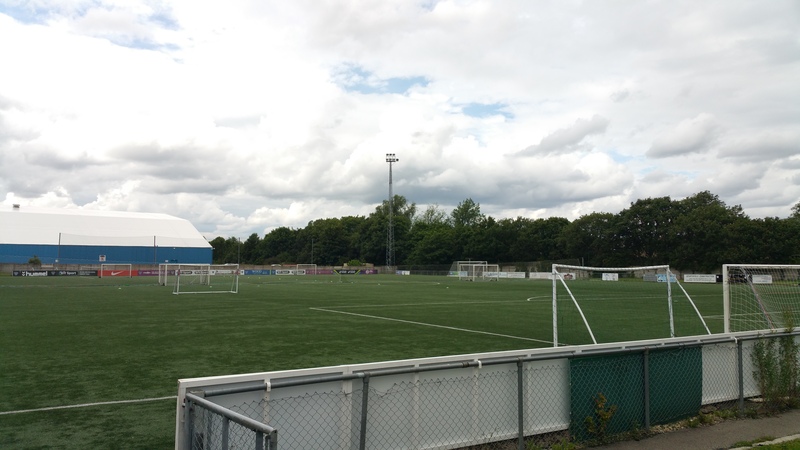 The Northern League side left after a dispute over unpaid bills in 2015 and have played in nearby Consett since. It’s a real shame, especially after the initial buzz around the club after ex-Newcastle United defender Olivier Bernard purchased them in 2013. 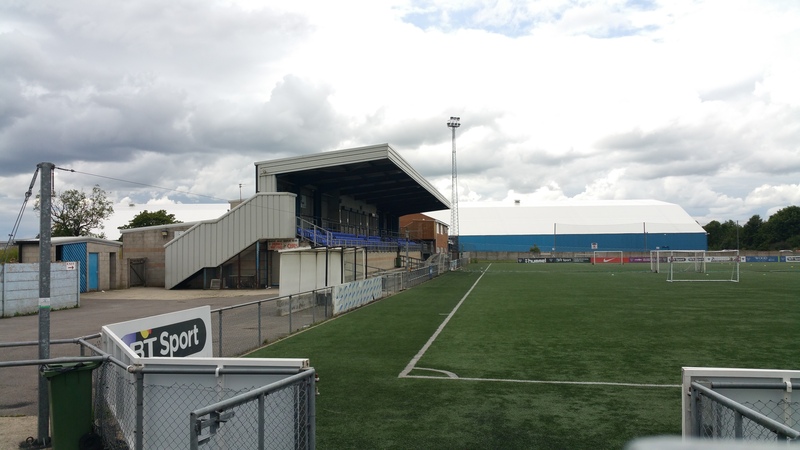 New Ferens Park is a curious affair, however. 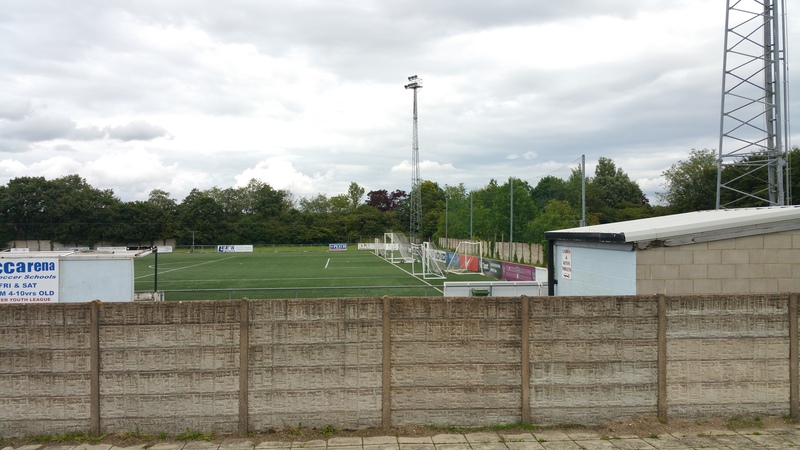 Built outside of town in the middle of an industrial estate, with an artificial pitch, it’s pretty much everything I hate about football stadiums. 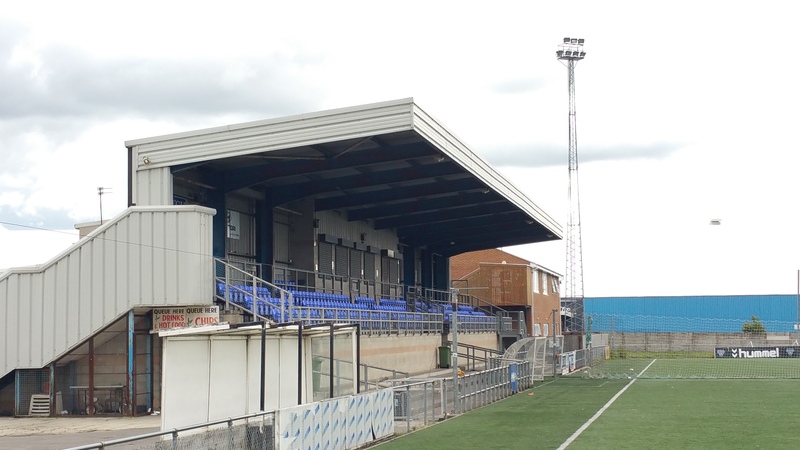 Its one saving grace is a curious main stand which is pretty visible from outside. It has a very strange covered stairwell that takes you outside and down to the clubhouse and hard standing which surrounds the rest of the pitch. This corrugated anomaly might just be what saves it. You’ve probably already bought my book, but it doesn’t hurt to remind you that it has aged magnificently and is available here. 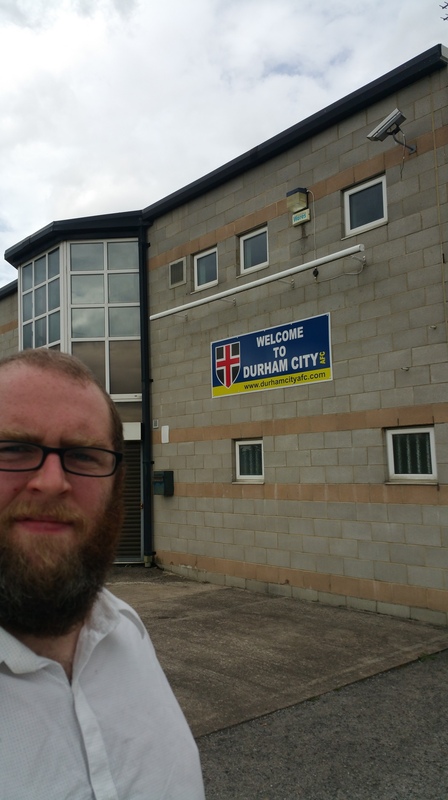 So you’ve probably wondered when it would happen, that I visited a ground for a second time. Maybe you’ve even had some money waged on it. Well, here we are. 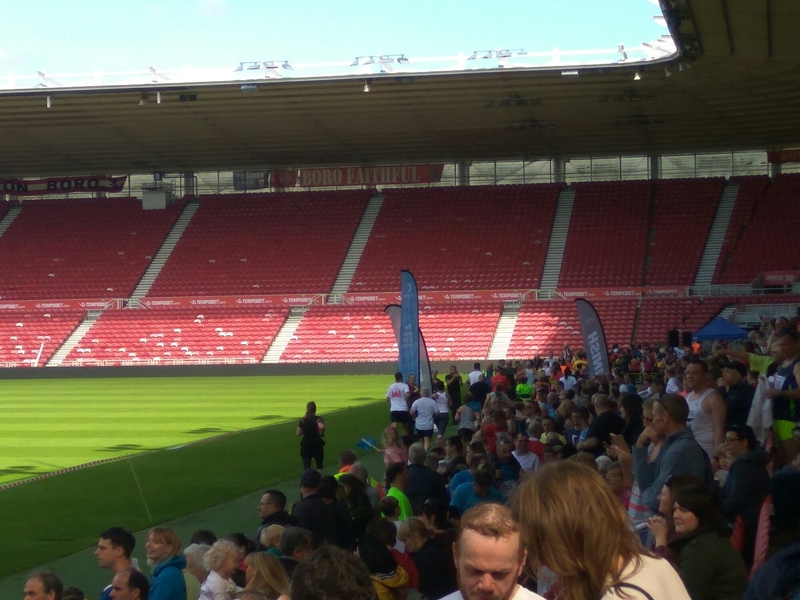 Mighty Middlesborough take the honour. 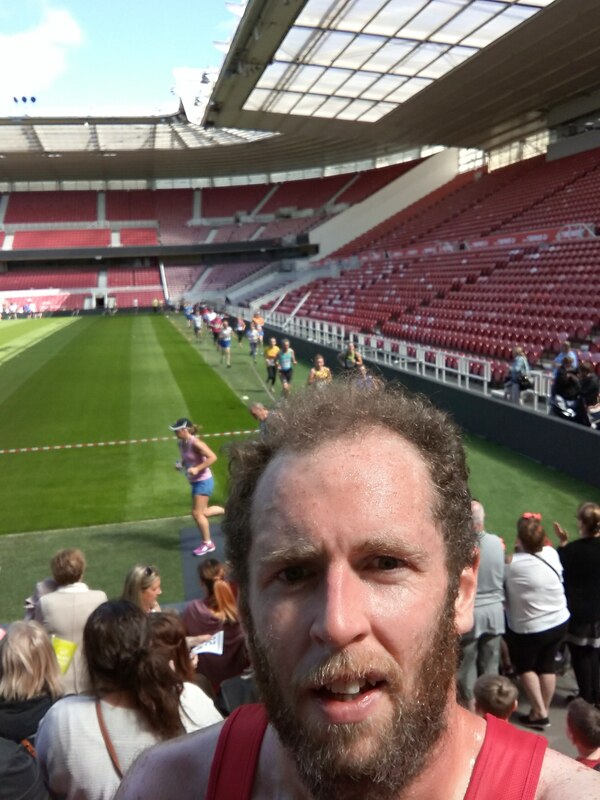 Over the summer I ran a 5k race on Teesside, which started outside Boro’s home and finished with a lap of the pitch inside. So it was a terrific excuse to combine my two great loves in life – running and ground-spotting. 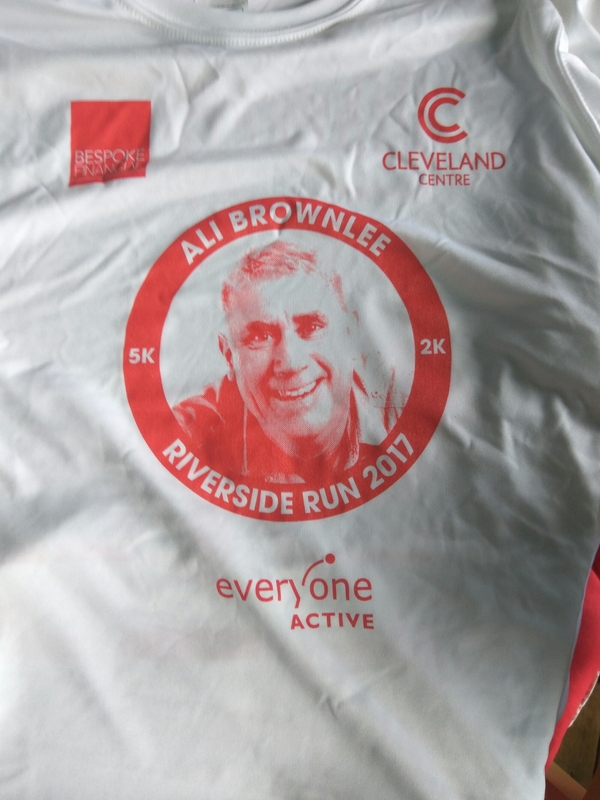 The race is a short run around Middlesborough, in memory of Boro legend Ali Brownlee, and a lovely day. 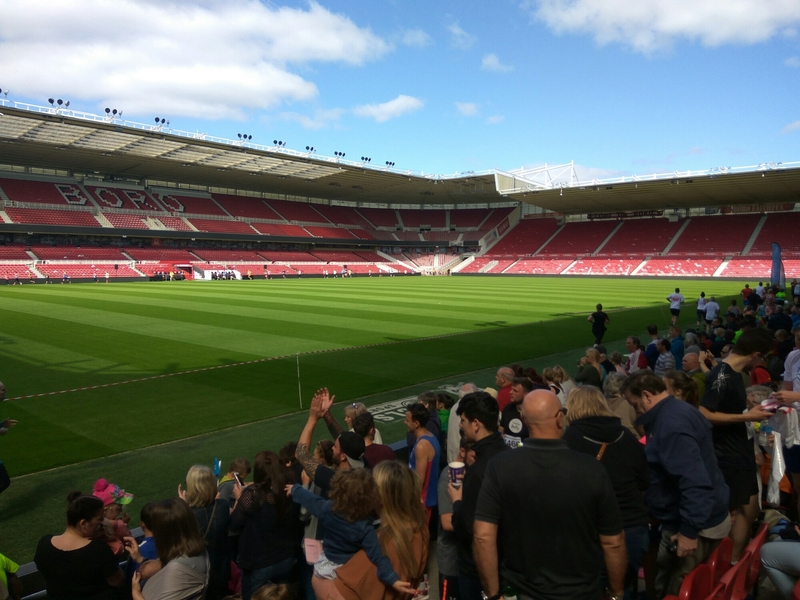 And even if you aren’t into running, it’s the easiest way you’ll get to peak inside a proper football ground like this. There’s not much I can really say about the stadium itself that hasn’t been said. It’s solid if a little unspectacular, but being able to enter a stadium when there’s not a match on always feels a little bit special. 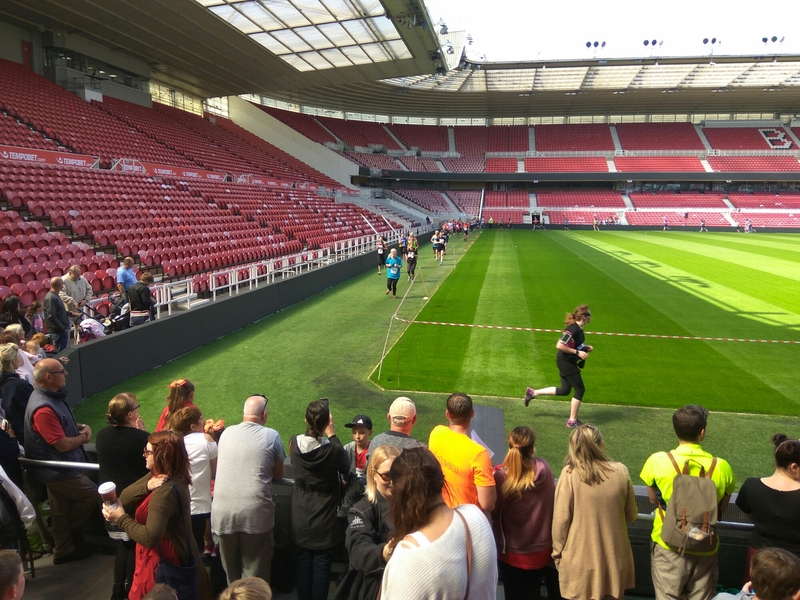 So this is more of a race recommendation than one for the stadium, but if you fancy a neb of the Riverside then this is a definite thumbs up.